Welcome to this week’s The Scoop link party! Thank you so much for taking time out of your busy holiday schedules to join us. 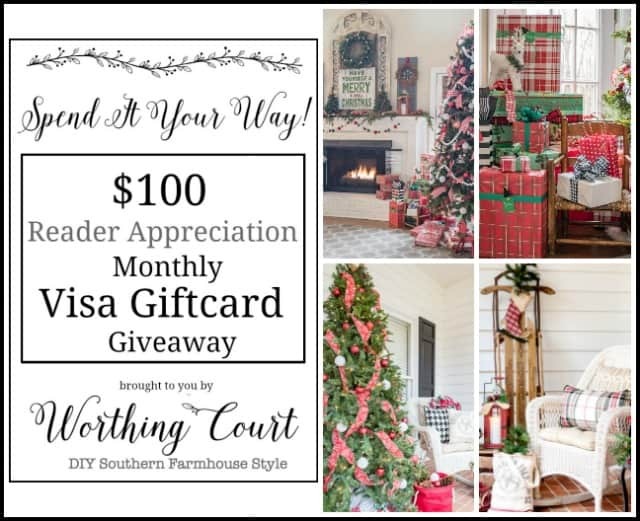 Before we get started, make you sure leave a comment so that you’ll automatically be entered to win this month’s Reader Appreciation Giveaway for a $100 Visa gift card! You can find all of the details right HERE. Let’s get on with the party. I can’t wait to see what you have to share this week! 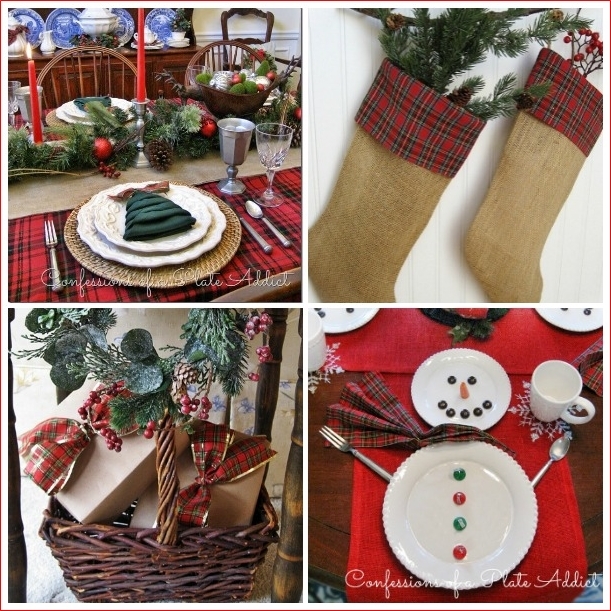 I love plaid…especially during the holidays! 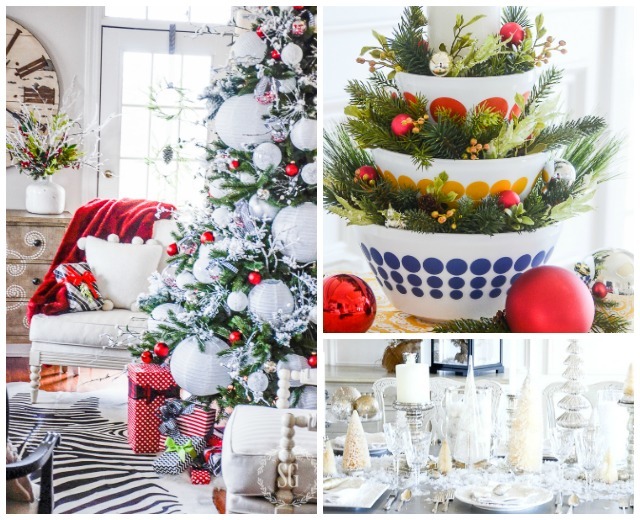 So I am sharing EIGHT WAYS TO DECORATE WITH PLAID AT CHRISTMAS. 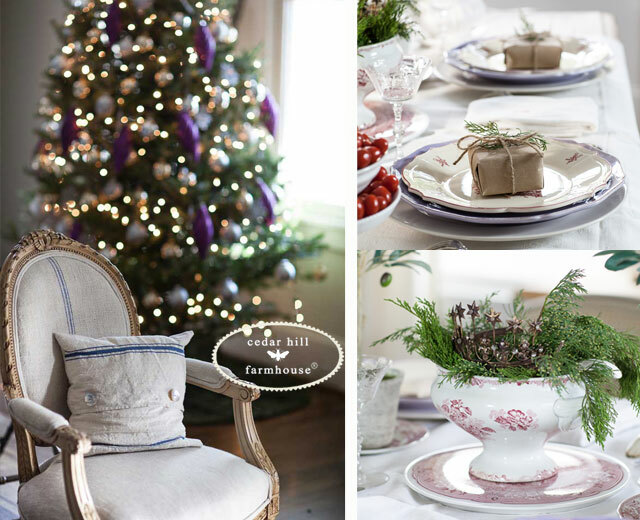 You’ll find a little bit of everything from wreaths and tablescapes to mantels and gifts so I hope you will check it out! Also…don’t forget that for those of you with fur babies, there are currently THREE WAYS TO WIN A $100 VISA GIFT CARD from Arm & Hammer Clump and Seal, Natural Balance Pet Foods and Meow Mix! Be sure to enter all three! You will find them HERE, HERE and HERE! Be sure to enter before December 31st! And now…here’s what your hosts are sharing this week! It’s always so hard to choose, but here are a few of the things that caught my eye last week! 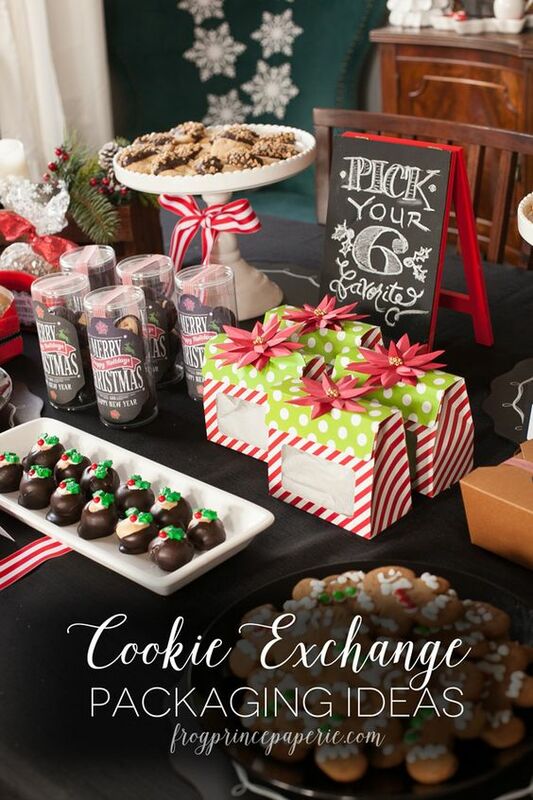 Frog Prince Paperie shared some fun COOKIE EXCHANGE PACKAGING IDEAS. These would be great for giving your homemade goodies as gifts, too! 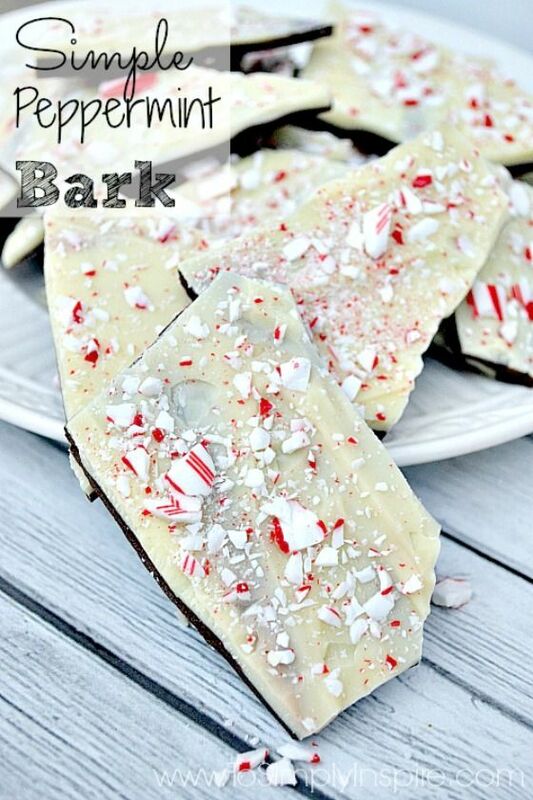 This SIMPLE PEPPERMINT BARK RECIPE from To Simply Inspire is not only pretty but easy as well! It only has three ingredients! 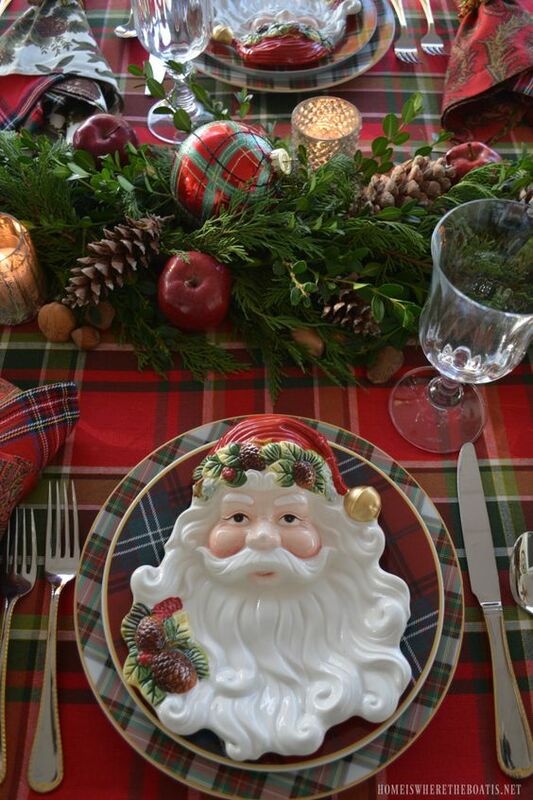 Don’t you love this PLAID TIDINGS CHRISTMAS TABLE from Home Is Where the Boat Is? That natural evergreen runner is gorgeous! 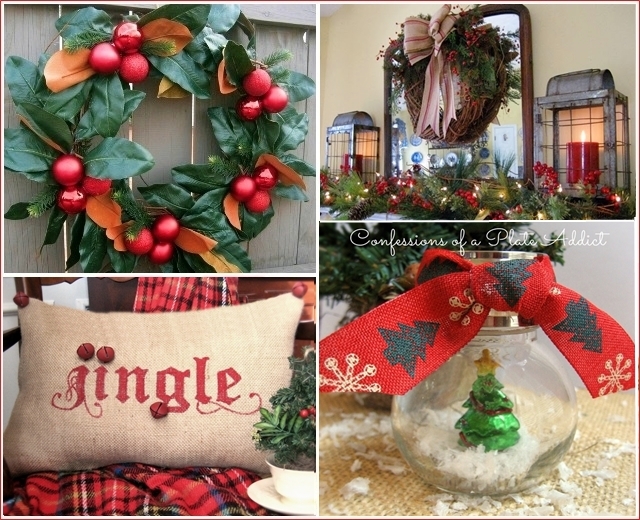 I love this CHRISTMAS MANTEL from Not Just a Housewife! 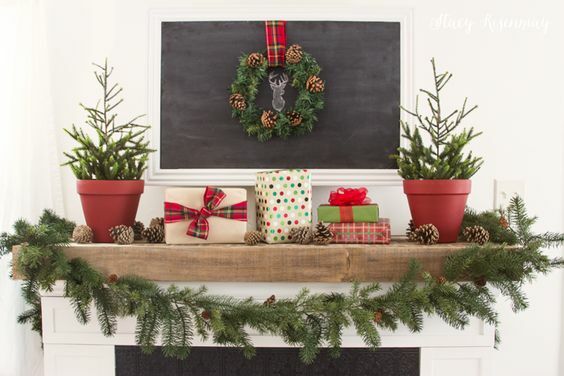 The barn wood and evergreens just make it! 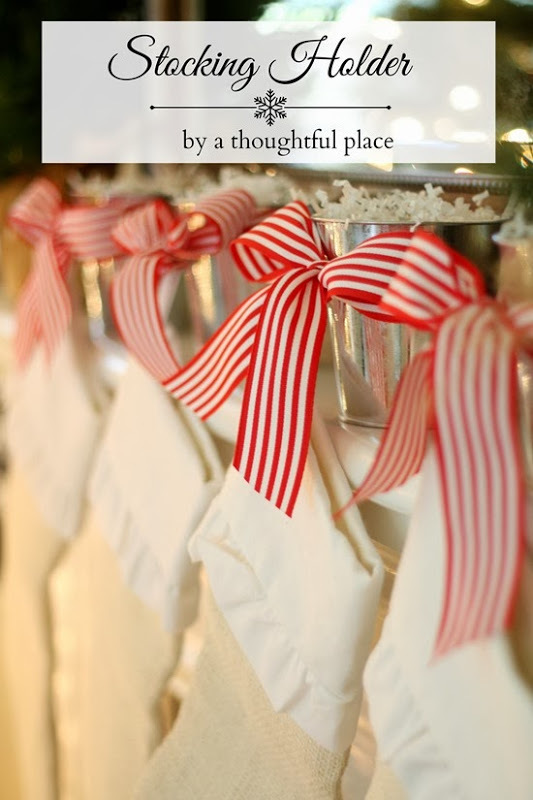 And here’s a great idea for DIY STOCKING HOLDERS from A Thoughtful Place! They are easy, inexpensive and solve the fear of having little hands pull down those big, heavy store-bought versions. Love it! And now, I can’t wait to see what you have to share this week! So many good ideas. My head is spinning!